A new study by the University of Missouri has found that owning a dog can help improve the health of seniors by creating important bonds between pet owners and their canine companions which lead to increased physical activity through dog walking, increased social benefits, and fewer trips to the doctors. The team of researchers looked at data from the 2012 Health and Retirement study, sponsored by the National Institute on Aging and the Social Security Administration, which included information on human-animal interactions, levels of physical activity, frequency of doctor visits and general health outcomes of its nationally representative sample of participants. Not only did the team find that dog owners benefit from the bonds they form with their pets, but a stronger bond also meant that owners were more likely to walk their dog more frequently and for longer. And thanks to dog walking, this also meant that seniors participated in more frequent exercise, resulting in a lower body mass index, fewer visits to the doctor, and an increase in social connections thanks to interacting with other dog walkers. With the Centers for Disease Control and Prevention recommending 150 or more minutes of moderate physical activity per week for adults of all ages, the study shows that not only is dog walking an effective way to meet this minimum level, but also a great way for seniors to enjoy their most popular form of physical activity. 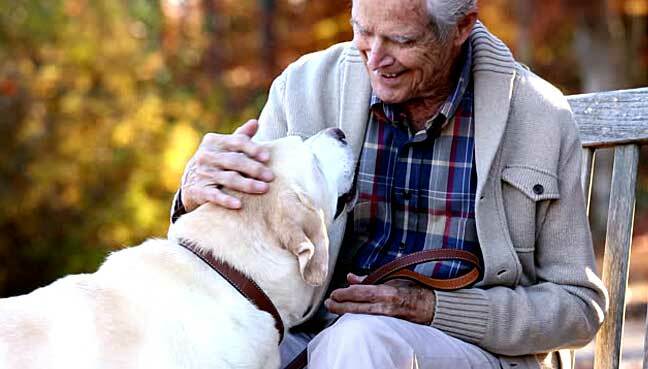 Johnson also added that encouraging pet-friendly policies in retirement communities, such as dog walking trails, could also enable residents to enjoy the many health benefits of canine companionship. Many other recents studies have also shown the health benefits of owning a dog, and not just in seniors but across all ages. A 2015 Swedish study which looked at data on more than one million Swedish children found that those who grew up with dogs had a 15 percent lower risk of asthma. And a US study published last year in journal Preventive Chronic Disease found children who had a pet dog had lower anxiety scores than those who did not, thanks to the bond created between children and their furry friend. And a 2013 study found another suprising way that owning a dog may be good for you, by bringing germs into your home. Although it may not sound so healthy, the study showed that homes with dogs had a wider variety of bacteria than homes without dogs, which helps to strengthen the immune system.